Hatfield’s fastest freestyle duo, Harry Constantine and Luke Turley, were in top form at the recent British Swimming Championships in Sheffield – swimming alongside Team GB athletes and Olympians and gaining valuable experience and smashing their personal best times. Luke finished in first place with a personal best time in the final for the junior 400 metre freestyle and was placed 6th in the men’s 1500 metre freestyle. He also swam well in the junior finals for the 100 metre freestyle, placing 6th and the 200 metre freestyle, placing 2nd. Luke’s great swimming has earned him a place in the GB junior team for the FINA World Junior Championships in the USA in August. Harry, also lowering his personal best times in all his events, finished 2nd in the junior 100 metre final as well as 6th in the 50 metre junior freestyle, and 5th in the junior 200 metre freestyle. Off the back of Harry’s great swimming, he has earned a place on the GB junior team at the European juniors in Israel in June. We are also delighted that Luke will be joined on the GB junior team at the World Junior Championships by Hatfield SC’s Nathan Hughes, now training at Loughborough National Centre but still a Hatfield member. The selections of Luke, Harry and Nathan for the GB junior teams follow a strategy by British Swimming, aimed at inspiring a generation of young athletes to commit to a journey towards Tokyo 2020 Olympics success by exposing them to high level junior international competition. 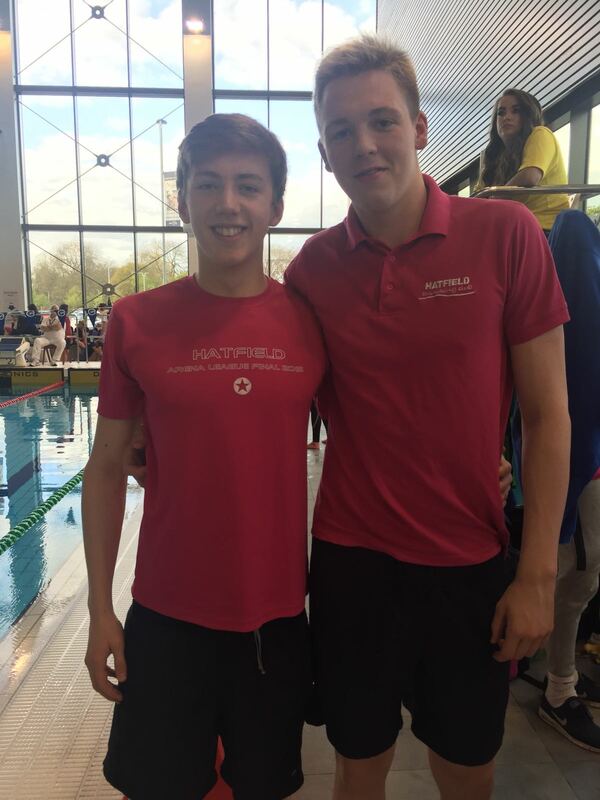 Other Hatfield swimmers who also swam well at the British Swimming Championships were Reese Housden, Ben Garrett, Laura Copping and Shannon Stott. Congratulations to all those swimmers on their performances.